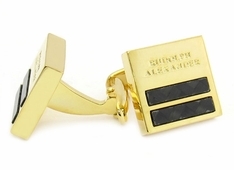 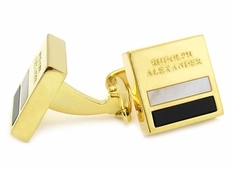 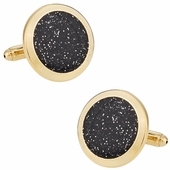 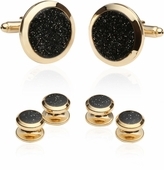 Golden cufflinks would especially compliment the black tuxedo that most men are known to wear at such events. 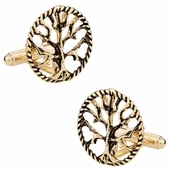 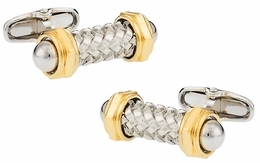 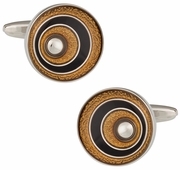 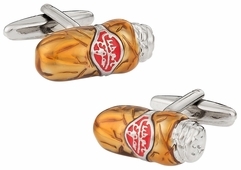 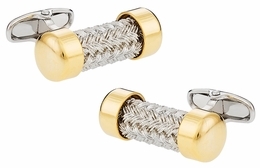 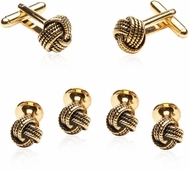 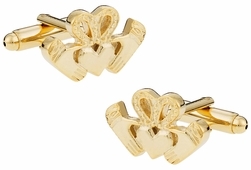 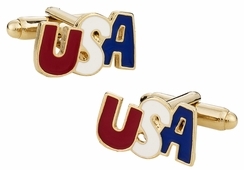 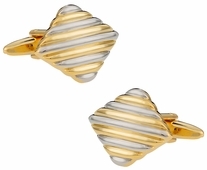 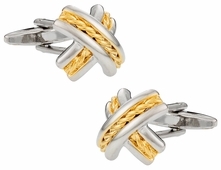 You can even add your own personal twist by wearing unique gold cufflinks with innovative designs. 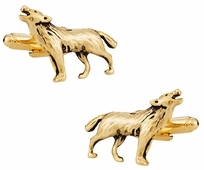 If you want something adventurous and daring then you can choose Howling Wolf Cufflinks, something profound then Tree of Life Cufflinks, something patriotic then American Eagle Cufflinks, something wild then Skull Cufflinks, and something eccentric then Penguin Cufflinks. 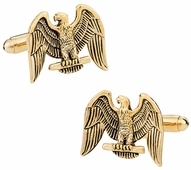 So whether you are a freemason looking for attractive accessories or looking for a Christian looking for a religious design, you know we'll have it here. 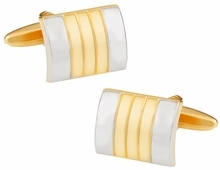 Looking for unique cuffs? 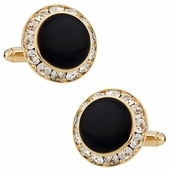 Nothing catches the eye quite like a great accessory that can set off your entire wardrobe. 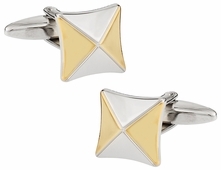 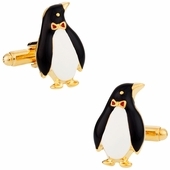 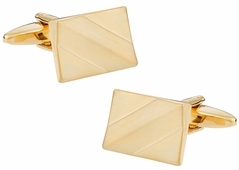 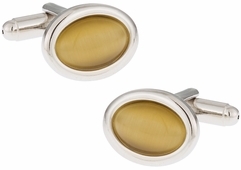 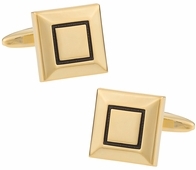 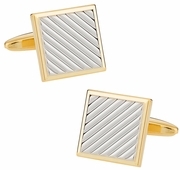 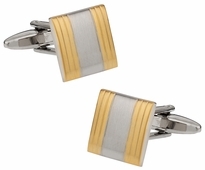 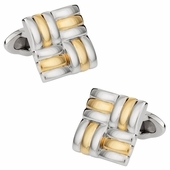 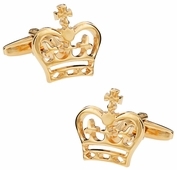 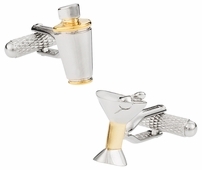 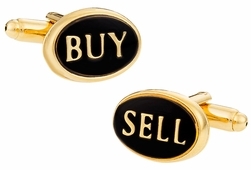 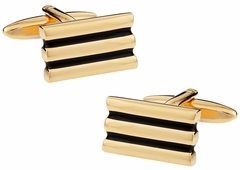 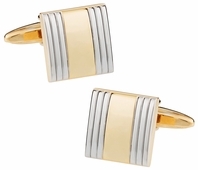 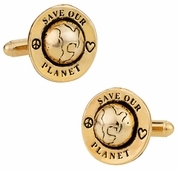 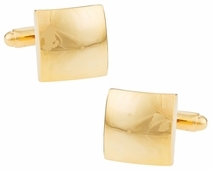 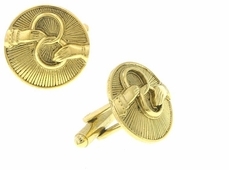 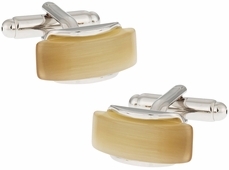 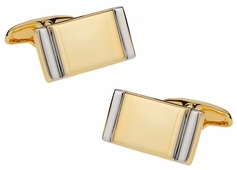 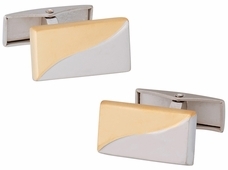 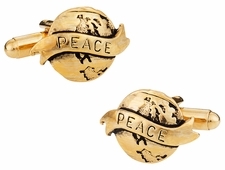 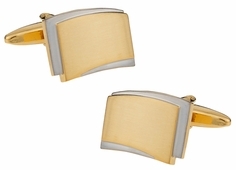 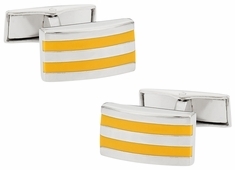 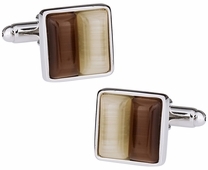 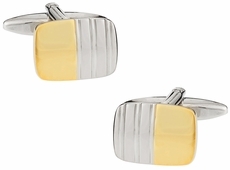 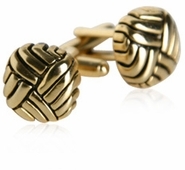 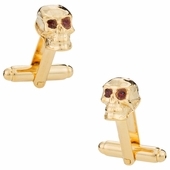 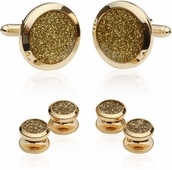 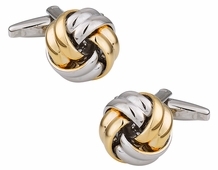 Our selection of gold cufflinks includes some of the finest designs available on the market. 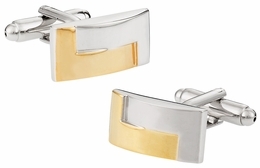 Browse through our inventory to find links that'll suit any wardrobe or special occasion. 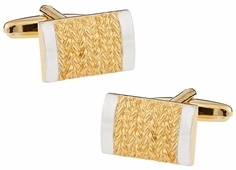 We have intricate golden patterns that make for ideal wedding cufflinks. 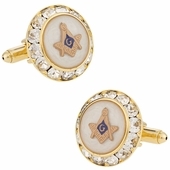 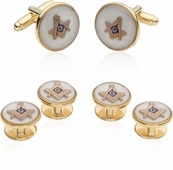 If you want to show your affiliation with Free Masonry, our tasteful Masonic cufflinks will make a fashion statement that's both subtle and striking. 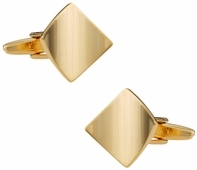 Thanks for shopping with Cuff-Daddy. 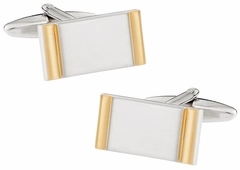 Gold Cufflinks with Discount: Gold is a color that is always associated with richness, opulence, and awe-inspiring grandeur. 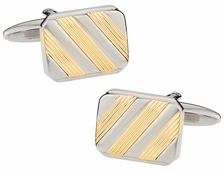 That's why so many of our customers love wearing gold cufflinks. 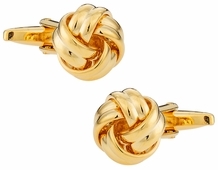 This is the color that is used to portray prosperity, success, achievement, and even reputation. 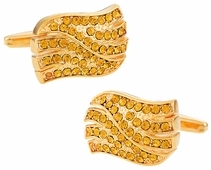 It is a color that is always connected to opulence and splendor. 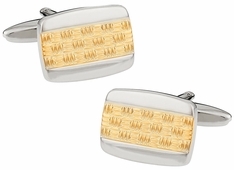 Thus, it the way most people react to the color gold is not at all surprising. 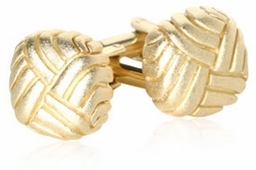 The problem for most men, though, is that they cannot really wear anything gold tone without seeming over the top and gaudy. 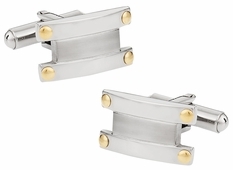 Gold cufflinks from Cuff-daddy are ideal for you if you want to show off your successes, achievements, and glory with something gold because they are neither too loud nor too subtle. 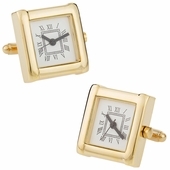 Remember, however, that it is always best to match your watch to your cuffs in terms of metal tone.